Since the very first issue of Amazing Spider-Man, it’s been established how important it is for Spidey’s civilian identity – teenage wallflower/science geek Peter Parker – to remain a secret. The consequences of his secret identity being outed were painted as incredibly severe – the Green Goblin/Norman Osborn was the first regular character to learn that Spider-Man was Peter Parker and Peter’s girlfriend Gwen Stacy was killed by the Goblin as a result. But over time, various creative teams have softened their stance on the secret identity. Fellow superheroes learned Peter’s secret, as well as some loved ones like Mary Jane and Aunt May. Eventually, the whole world learned the truth during the Civil War saga, but then a lot of these reveals, save Mary Jane, were undone by the great “Brand New Day” switchover in the mid-2000s. 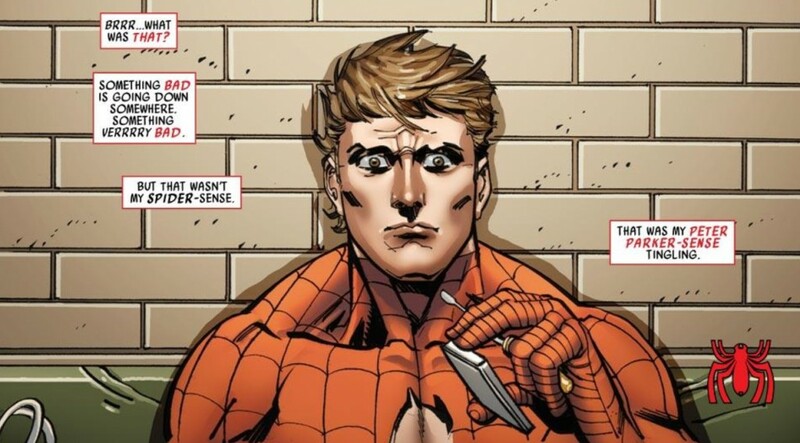 Suddenly, Peter’s identity was priority number one, until he started to randomly unmask himself to the Fantastic Four and the Avengers leaving readers dazed and confused as to whether or not Peter’s identity is a secret with consequences, or a plot device used arbitrarily by comic book writers looking for a twist. But true to recent form, Dan Slott (who’s been killing it on ASM since the start of Spider Island this past summer) presents a new wrinkle in the secret identity debate in ASM #675. At the end of the Spider Island arc, Peter’s then-now-ex-girlfriend Carlie Cooper, a police detective, confronts Peter with her discovery – that she knows he’s Spider-Man. What’s so fascinating about this plot development is that it presents Peter with a kind of relationship he’s never had before (that I can think of off the top of my head). There’s a person out there who knows his identity, is not an enemy, but isn’t exactly his ally, and is in a position to harm Peter’s well-being if she decides to out his secret. 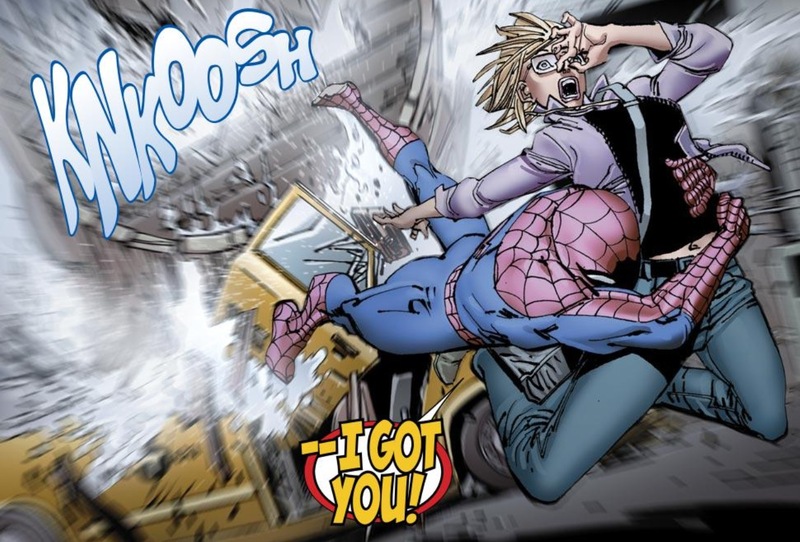 Adding another layer to the drama is the fact that Carlie had an established relationship and alliance with Spider-Man prior to her discovery. And while she thinks Peter is a jerk for keeping this secret from her and making up lie after lie to keep things hidden, she also recognizes the value Spider-Man brings to the crime-fighting community, despite the fact that the upper echelon of the police force and New York’s mayor J. Jonah Jameson, are always constantly deriding the web-slinger as a “menace” and trouble. In a scene that captures this unique dynamic so perfectly, in ASM #675 Spider-Man and Carlie are working together to try and crack a case about a number of deaths that are being ruled “jumpers” by police, but are in fact being caused by the Vulture killing off members of his new brood of angsty teenagers. As the duo are looking for clues, Pete, in full costume, goes to take his mask off, and Carlie tells him to keep his mask on – that just because she knows that he’s Spider-Man doesn’t mean she can comfortably look at her ex-boyfriend unmasked in a Spider-Man costume. By the end of the issue, Carlie goes to dish about Peter to the one woman who knows Parker both as a boyfriend and a superhero – Mary Jane, causing Peter’s “Peter Parker sense” to tingle, in a great sequence from Slott that demonstrates once again how he’s one of the best contemporary writers of Spider-Man since he understands that it’s the human being under the mask that makes Spidey a captivating character. 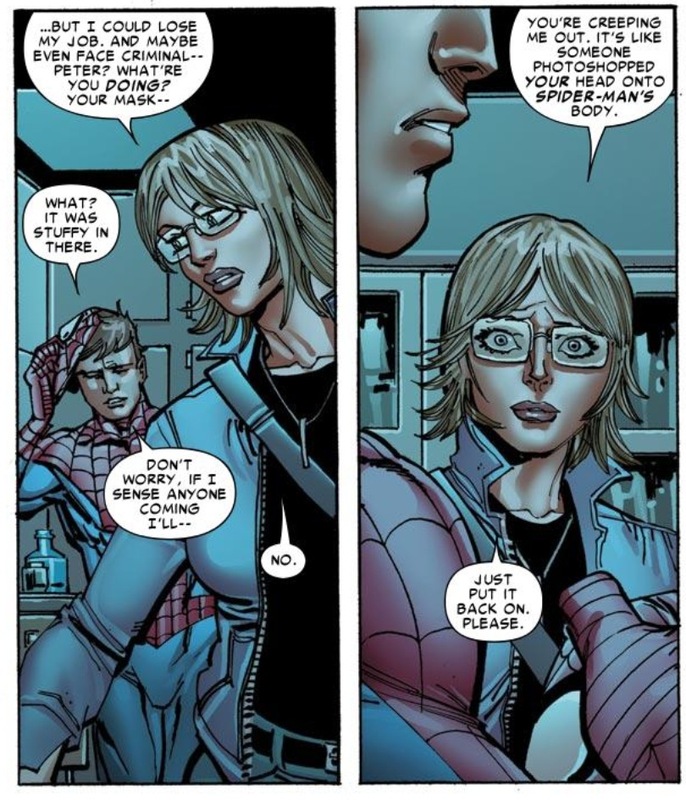 Using the assumption that Carlie’s knowledge will be used against Peter some more in the future, it now puts our protagonist in an uncomfortable position. This isn’t the Green Goblin or Doctor Octopus who knows his identity, it’s a regular civilian who happens to be a police officer. Whereas a supervillain could use this information to exact violent revenge on Peter and his loved ones, with a simple phone to the police chief or the press, Carlie could reveal Peter’s secret to a broad base of people and/or have him arrested. Given the duo have just broken up, is there any reason for Peter to trust Carlie with his secret, yet at the same time, outside of petty, crazy ex-girlfriend revenge, what reason does Carlie have to destroy Parker’s life in this fashion? The end result is the first time since that fateful issue during the Civil War saga where there are real stakes attached to the knowledge of Spider-Man’s identity. 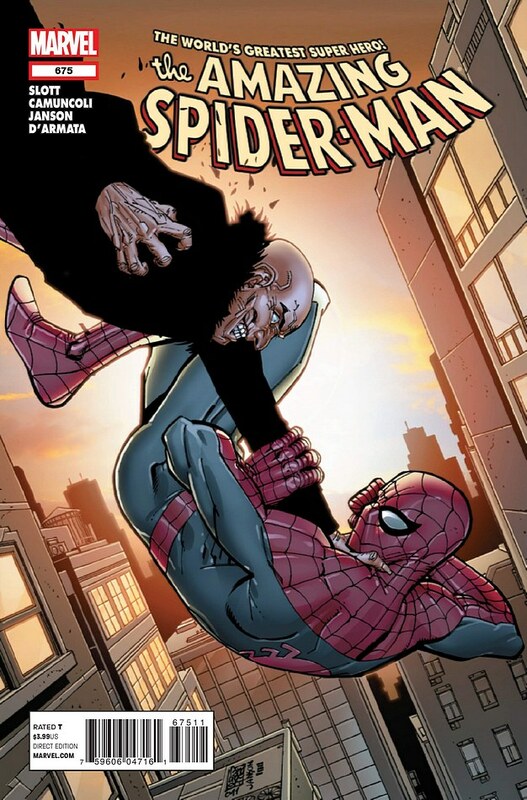 And since it’s not someone from the usual gang of suspects who acquired this valuable knowledge, Slott has now created a seemingly endless stream of storylines that he can fish from, unless someone from Marvel decides to implement some kind of deus ex machina with another appearance of Mephisto or maybe a scene where Carlie gets impaled by a goblin glider (don’t laugh, it can happen).